I have traveled extensively in Colombia...for the express purpose of buying marijuana for shipment to the United States. That was BEFORE being arrested and spending 5 years in a US Federal Prison. The conflict in Colombia was going on even when I was there...1979 through 1981. A sad thing to see in such a beautiful country...and among some of the most honorable people on our planet. I wrote about the great times I had in the marijuana business, and the fine people I met in Colombia: Shoulda Robbed a Bank After watching bank robbers come and go in as little as 20 months...I thought the title appropriate. At least 2 chapters in my book detail my encounters with the Colombian military 'deep in the jungles.' I admit, I had a great time...no one was injured, no one was killed, there were no victims.I still wonder why our government put me in prison. It is a free country, isn't it?Or, has that changed? 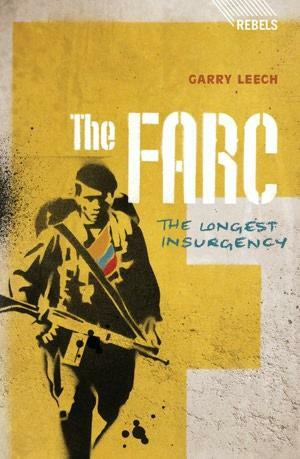 I will be looking at 'the FARC'...I am curious if the author saw the same. Myths and myths only. Mary J.